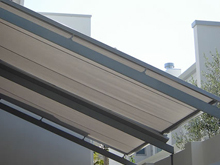 The iShade Skyshade glass roof awning has a slimline retractable roof that provides ultimate protection from the sun while allowing natural light to filter through. 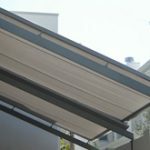 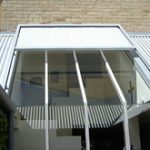 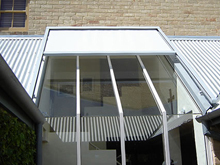 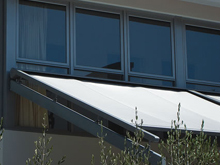 Ideal for conservatories, pergolas and courtyards, the Skyshade fixed tracts mean a simple retracting function that disappears into a slimline headbox that protects the system when not in use. 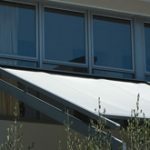 We are happy to give you a demonstration of this exciting new product, come and see us at Goldfields Screens and Blinds to compare our awnings to find the best product for you.